The New York Community Trust gives $7.5 million for efforts to stop domestic violence, promote climate resilience, help kids aging out of foster care, and more. EDUCATION: High school students must take a civics course, but teachers often find it difficult to encourage students to use those skills outside the classroom. A $300,000 grant to Generation Citizen will train the City’s teachers to help students get involved in community affairs. LGBTQ HEALTH: New York State recently expanded Medicaid coverage to include gender reassignment and other procedures, but many New Yorkers are not aware of these changes. With $70,000, Sylvia Rivera Law Project is helping make sure new policies are publicized and enforced. ARTS: Edward and Sally Van Lier created a fund in The New York Community Trust to help young, low-income artists make it in New York. In their name, we created the Trust’s Van Lier Fellowships, which have helped nearly 2,000 young people flourish in a variety of artistic disciplines. Nine new grants totaling $915,000 will focus on providing space, training, and stipends to artists between ages 18 and 30 who are not enrolled in school. The Trust is committed to helping solve some of New York’s toughest problems. For each of the following grants, we offer journalists one-page background memos on the problems and how we’re addressing them. Please contact Amy Wolf for more. Alphapointe is using $130,000 to train and place blind and visually impaired adults in jobs suitable to their interests, skills, and abilities. Extreme Kids & Crew is using $50,000 to train low-income parents how to advocate for their children with disabilities in Red Hook, Brooklyn, and Ridgewood, Queens. FAIR Health is using $100,000 to create an app in Spanish that helps patients understand health-care costs. IDUHA-Independent Practice Association is using $121,000 to help health and social services agencies serving people with HIV/AIDS adapt to managed care. INCLUDEnyc is using $100,000 to ensure that high school students with disabilities get access to courses, services and support they need to succeed. Mount Sinai Hospital is using $120,000 to provide improved sexual and reproductive health care for poor black and Hispanic adolescent females in New York City. Often referred to as the “social determinants of health”—conditions in the environments in which people are born, live, learn, work, play, and age—greatly affect health and longevity. Since 2015, Trust support is helping three neighborhoods in the South Bronx—Mott Haven, Morrisania, and Hunts Point—with some of the State’s worst health status turn around residents’ health by improving two key factors that affect community health—better food and usable outdoor space. The following grants continue multi-agency efforts to improve health in their three high-need neighborhoods. BronxWorks is using $200,000 to improve health and wellness in Mott Haven, focusing on healthy food, open spaces, and physical activity. Claremont Neighborhood Centers is using $200,000 to improve access to healthy food and exercise in Morrisania by engaging young people in cultivating and beautifying outdoor gardens and open spaces. Urban Health Plan is using $200,000 to improve access to healthy food, health screening, and physical exercise as part of a longer-term plan to open a Mercado in Hunts Point. Center for Alternative Sentencing and Employment Services (CASES) is using $100,000 to improve care for those with mental health problems in the criminal justice system. In preparation for closing Rikers Island, the City needs a more robust infrastructure to help New Yorkers who have been detained or imprisoned. Comunilife is using $100,000 to counsel adolescent Latina girls at risk for suicide. Lawyers Alliance for New York is using $75,000 to give legal assistance to health and behavioral-health agencies transitioning to managed care. Jewish Association for Services for the Aged (JASA) is using $100,000 to start programs in eight naturally occurring retirement communities throughout the City to train older adults to lead neighborhood projects. Columbia University is using $50,000 to develop a way to measure and report on integration in the City’s public schools. Freedom House is using $238,000 to improve international communication through research on internet freedom in 65 countries. New York University is using $50,000 to ensure homeless children are treated fairly in the City’s school-choice processes. This grant will be used to analyze the problems homeless students and their families face when they choose and apply for schools. It also will help identify some solutions so homeless students get into schools that meet their needs. Sponsors for Educational Opportunity is using $340,000 to help low-income college freshman master calculus to prepare them for applied physical science and technology majors. Generation Citizen is using $300,000 to train the City’s public school teachers to encourage middle and high school students to get involved in community affairs. Student Success Network—NYC is using $100,000 to help schools and youth development nonprofits use data to improve students’ problem-solving and social skills. Catholic Charities Community Services is using $170,000 to provide legal help and case-management services for immigrant girls and young women, many of whom are young mothers. JustLeadershipUSA is using $75,000 to continue to focus on closing Rikers Island. Although public officials have pledged to close Rikers, it will take time and substantial changes to the New York State justice system. This grant will be used to press state lawmakers to pass bail and speedy trial reforms, and to build support for community jails as alternatives to Rikers. New-York Historical Society is using $100,000 to prepare green card holders to pass the citizenship exam. Sylvia Rivera Law Project is using $70,000 to ensure transgender New Yorkers get medical treatment. Children’s Museum of Manhattan is using $75,000 to promote the healthy development of homeless children. Council on Social Work Education is using $150,000 to promote projects at social work schools across the country on the on the intersections of race, ethnicity, and poverty and their impact on social work practice. The results will be used to shape policies, and train and place social workers in field jobs. Good Shepherd Services is using $150,000 to help low-income and formerly homeless families access benefits and maintain housing at a new community center in East New York. Kingsbridge Heights Community Center is using $73,000 to assist immigrants in the Bronx. Mobilization for Justice is using $75,000 to provide legal assistance and social services to relatives caring for children abandoned by their parents in the Bronx. New Yorkers for Children is using $300,000 to help youth succeed after they age out of foster care. The New School is using $125,000 to advocate for more training for the human services sector, which includes jobs as school social workers and child welfare workers. New York City Workforce Development Fund is using $200,000 to support existing workforce development programs, and back a new program to help low-skilled immigrants prepare for jobs. Atlas: DIY is using $80,000 to strengthen and expand a leadership program for immigrant teenagers. Business United in Investing, Lending and Development is using $105,000 to expand a program that helps students in five public schools learn to create and start businesses. Girls Incorporated of New York City is using $150,000 to improve the lives of middle and high school girls from poor neighborhoods. With past support, Girls Incorporated worked with Staten Island schools to keep girls and young women in school. With the new grant, the program will expand to Brooklyn and Bronx schools, and the curriculum will be streamlined to align with Common Core. New York On Tech is using $100,000 to expand a coding program for disadvantaged high school students. ARTs East New York, $125,000 for one-year fellowships to four East New York artists. Asian American Writers’ Workshop, $100,000 for one-year literary fellowships to eight Asian-American writers. Little Orchestra Society, $50,000 for one-year fellowships to two female conductors. Martha Graham Center of Contemporary Dance, $100,000 for two-year fellowships to four dance artists. Playwrights Horizons, $100,000 for one-year fellowships to four theater artists. The Public Theater, $150,000 for two-year fellowships to three performing artists. Roulette Intermedium, $100,000 for one-year fellowships to four experimental composers. Smack Mellon Studios, $90,000 for one-year fellowships to six emerging visual artists. Wave Hill, $100,000 for one-year fellowships to four emerging visual artists. Chamber Music Society of Lincoln Center, $100,000 to attract Chinese and Chinese-American audiences. CSH is using $100,000 to improve housing for youth aging out of the foster care, child welfare, and juvenile justice systems. IMPACCT Brooklyn is using $65,000 to help low-income Brooklyn residents participate in affordable housing lotteries, which require luck and skill. Many lose out because of application errors or fixable credit problems. The nonprofit is using this grant for large information sessions, smaller clinics, and one-on-one coaching for interviews. Neighborhood Housing Services of New York City is using $100,000 to help resident-owners preserve limited-equity co-ops as affordable homes. Neighborhood Housing Services of Staten Island is using $85,000 to clean up unhealthy conditions as part of affordable housing preservation and development. Northern Manhattan Improvement Corporation is using $70,000 for worker-owned cooperative businesses in Washington Heights run largely by immigrant women. Ceres is using $75,000 to mobilize the insurance industry to address climate change. Clean Water Fund is using $100,000 to protect drinking water from contamination by lead and other toxic chemicals. Columbia University’s Center for Climate Change Law and the Natural Resources Defense Council are using $85,000 to push for reforms in the federal flood insurance program. Earthjustice is using $100,000 to provide legal support for efforts to eliminate sources of lead exposure in the United States from consumer products such as hair dyes, drinking waters contaminated by lead pipes, and the continued use of leaded aviation fuel in piston-engine aircraft. The Green Schools Alliance is using $75,000 to improve the energy efficiency and sustainability practices of public schools. New York University’s Urban Future Lab is using $100,000 to run a national competition for promising technologies that can help New York City achieve its sustainability goals. Regional Plan Association is using $75,000 to improve the climate resilience of Queens communities. Repowering Rural Cooperatives Partnership is using $150,000 to clear the way for clean energy investments by rural electric cooperatives. Urban Green Council is using $60,000 to advocate for greener building codes in New York City. The Advocacy Institute is using $100,000 to expand legislative advocacy training and resources for nonprofits. Community Resource Exchange is using $200,000 to help nonprofits identify and mitigate risk. United Neighborhood Houses of New York is using $80,000 to expand the use of a centralized data management software among settlement houses. Reclaiming Appalachia Coalition is using $110,000 to generate economic development in Appalachia by restoring lands one used as coal mines. Colonial Farmhouse Restoration Society of Bellerose is using $69,000 to care for animals at the Queens County Farm Museum. Through the generosity of New Yorkers who have set up charitable funds with us, we are able to make grants for a huge range of charitable activity so important to the well-being and vitality of our city. 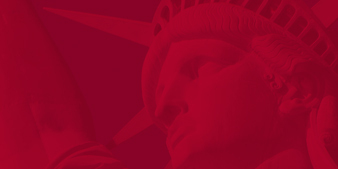 We are New York City’s community foundation, and one of the largest funders of City nonprofits. Since 1924, The Trust has helped make donors’ charitable dreams come true.